It was a neck-and-neck battle with Fred's 240 GL Sedan, but KOSH* Racing managed to claim the 40th spot with success on the first (very lean) crank Sunday 9/4 around 2pm EST. Both KOSH and Kiwi efforts struggled with various obstacles. 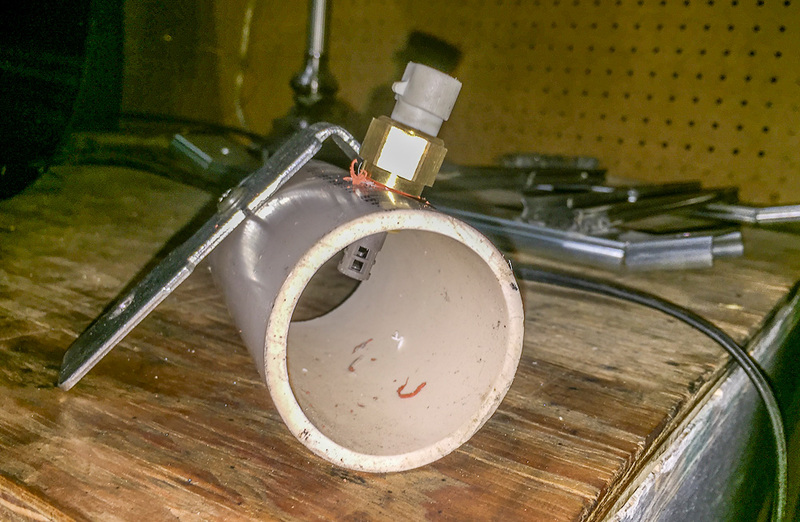 KOSH found themselves without any source for metric fuel pump fittings. The bandaid solution was a ⅜" NPT barb wrapped with a half roll of teflon tape for the pickup end, and a modified banjo fitting forced into fuel line on the pressure side. Enough for the start. Barely. What is this car? 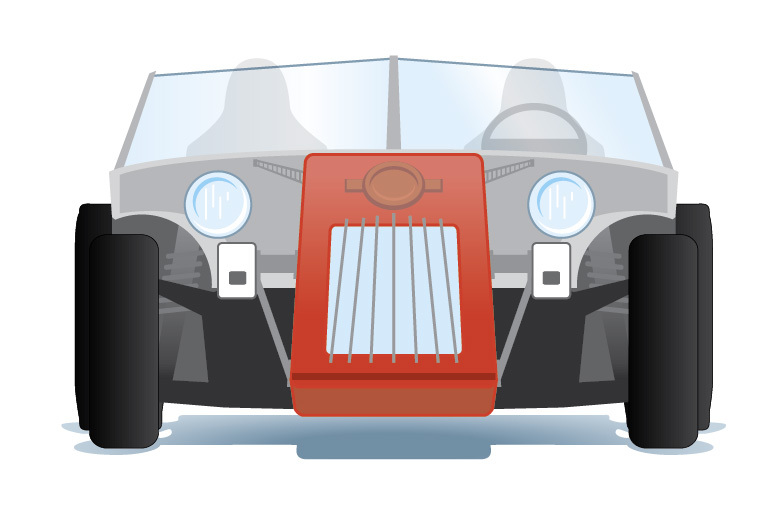 It's an entry into the Grassroots Motorsports $2016 Challenge - a budget oriented competition ($2016 USD build limit) that's comprised of an autocross (gymkhana), quarter mile drag time and concours. 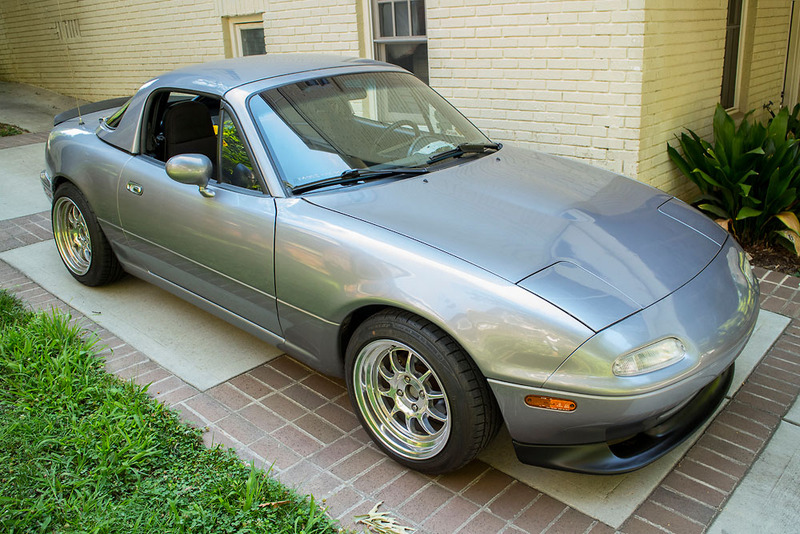 Steve (owner of car and epic beard) purchased the "bumped in rear" Miata for desirable performance parts to install on his personal Miata. 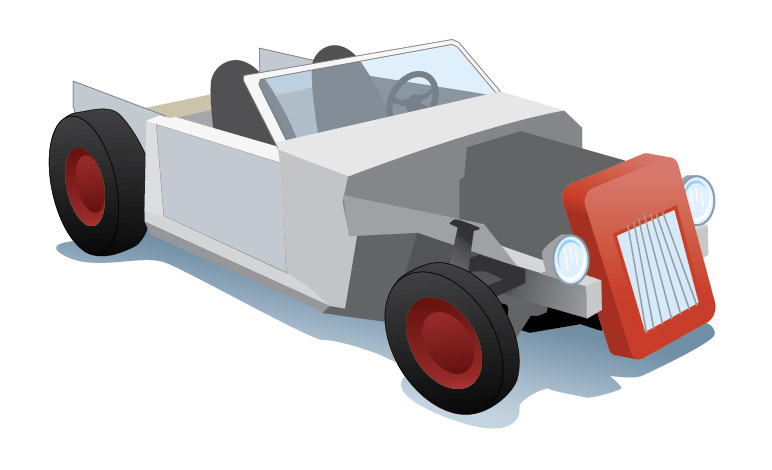 After a serious part-out for profit, Steve still had a running, driving car, so it only seemed natural to race it. I was invited to the nonsense and brought along the FreeEMS effort, which only seemed natural to me. 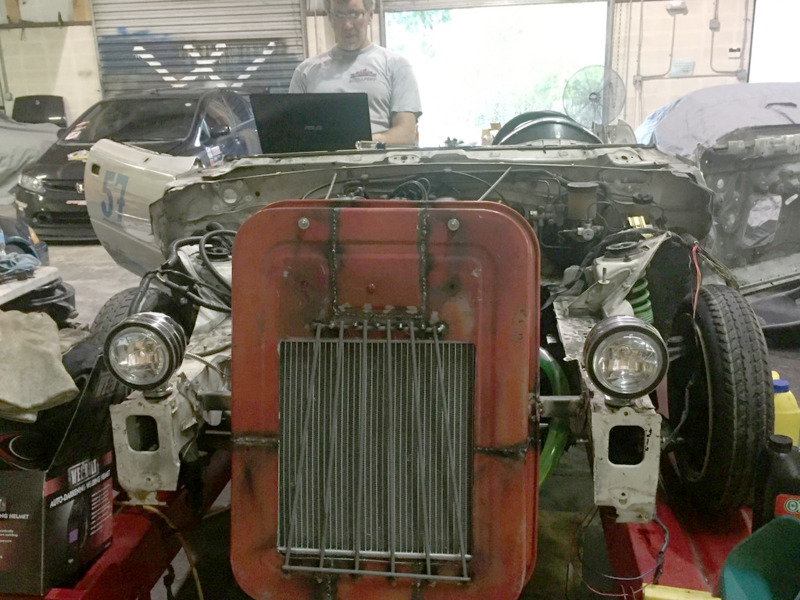 Though it's barely more than an "engine on chop sticks" (significantly lighter than the original) there is a vision- rat rod- that vision is second to a sorted car able to compete. For that the fuel system needs completion- including a beer keg gas tank. And then tuning before moving on to the rat rod aesthetics. Some photos because it really happened. Some kid is asking where his wagon is. 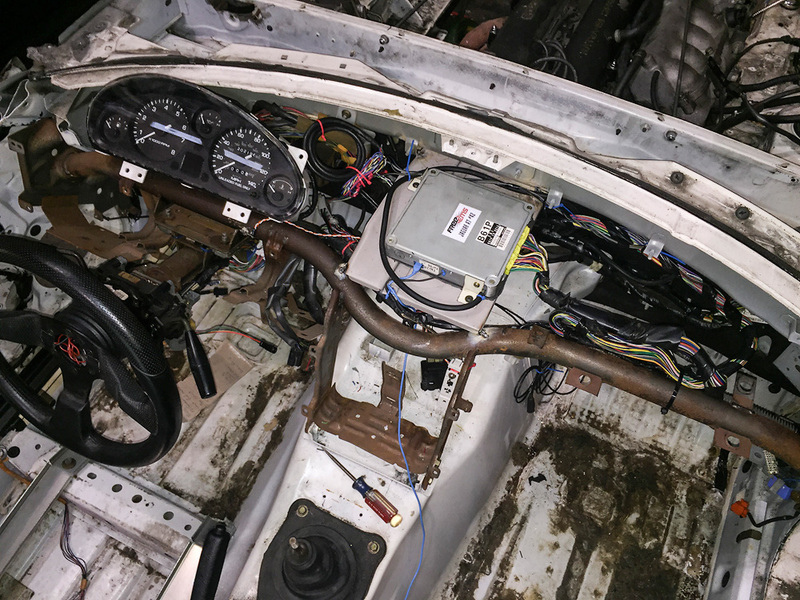 Super secret high tech IAT isolator for cars that care about heat soaked temp sensors. Final mounting location- up high under the cowl cover (not installed) and away from the elements. 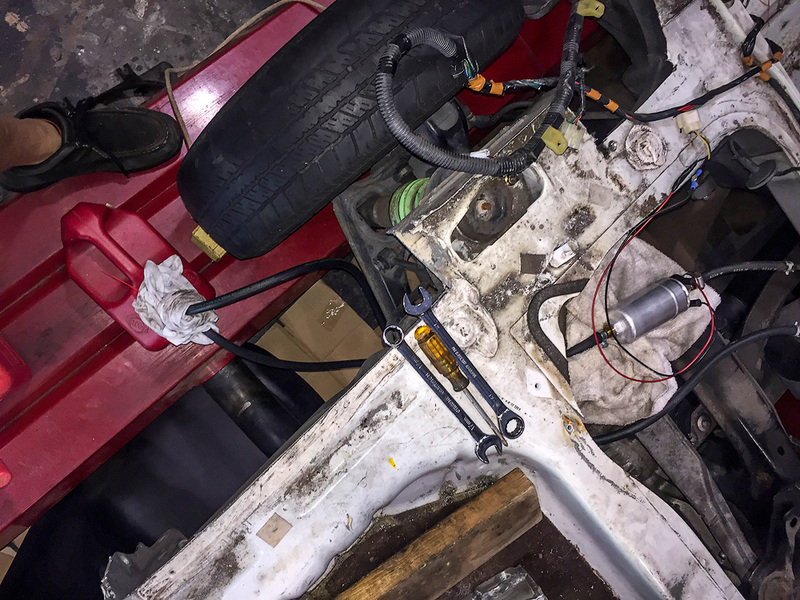 A7 installed in stock Miata ECU chassis for some PNP action. 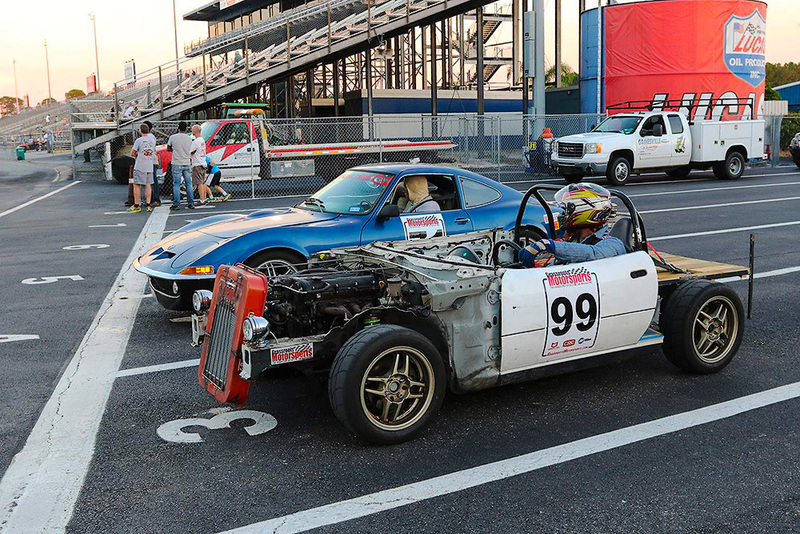 KOSH Racing had good weekend in our FreeEMS powered Miata at the GRM Challenge over the weekend. Our effort went exceptionally well considering we started the first morning of the event without lug nuts specific to our competition wheels. And then there's the part where the car had yet to drive itself more than the distance to the trailer for the trip before arriving at the event. Yep- the first time this beast moved itself any measurable length was the first run on the autocross course. Never completed tune, no alignment, no gauges... you get the idea. So a 12th place overall finish is all WIN in my book. Of course this success came at the price of some late hours and hard work on both sides of the globe. Steve put in loads of late hours in his Tampa shop (Gorilla Garage aka the oven), while on the other side were Kiwis pounding keys and pedals. A group effort is what made it happen. We managed a top half finish in the autocross and a 14.775 quarter mile time. But the real surprise was the concours score. 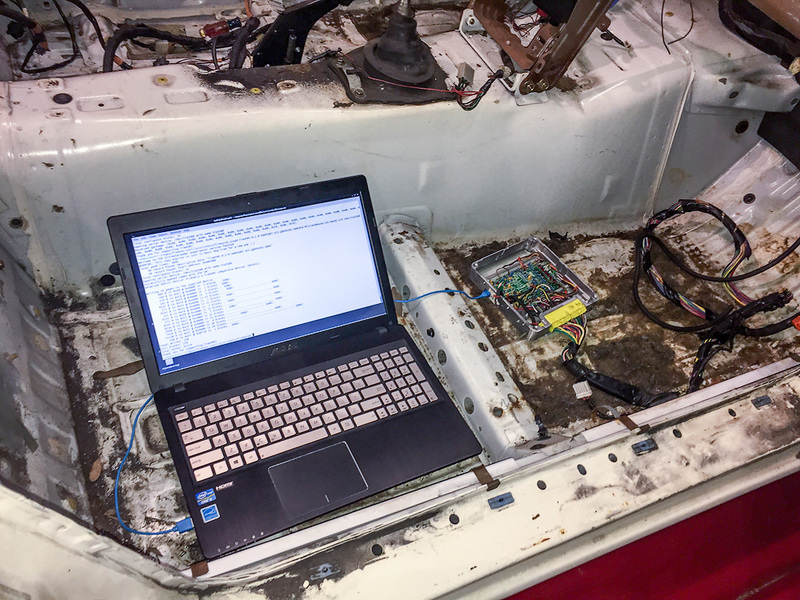 Fortunately for us the judges favored our ratrod Miata concept and TRUE open source engine management. We made our pitch to the judges and did a good job distinguishing the car from others. And now for some media to feed the masses. 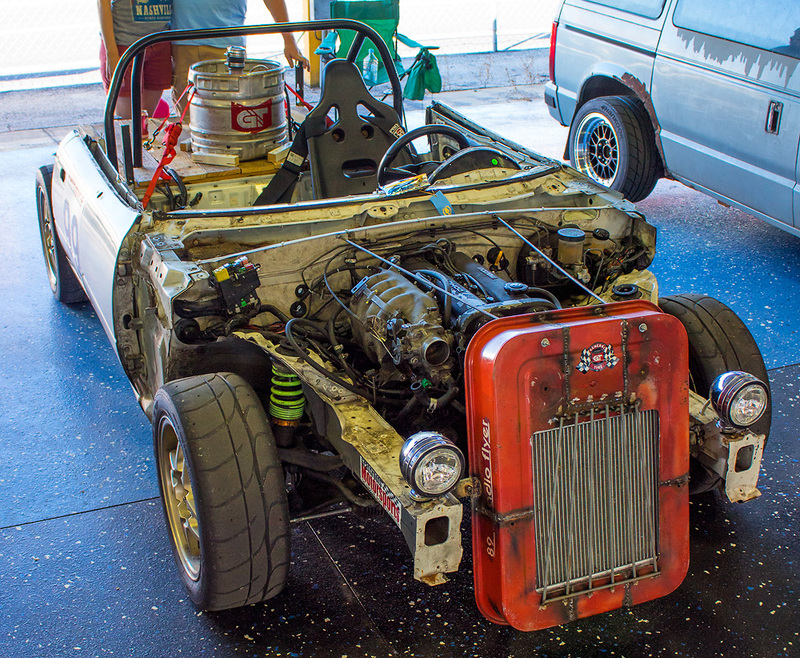 Named "Tetanus", this Miata was stripped of all body panels except doors, then "rebuilt" with scrap to mimic a flat bad truck complete with a beer keg fuel cell. Total cost on the car by green flag was under $1100 US. KOSH lined up with an SR20DET powered Opel GT running the stock Nissan ecu. Opel was running low 14s. That's a carb'd Ford V8 powered Miata on the right running 13s. KOSH's quick quarter from the event. KOSH also managed a 3rd place overall in the General Tire Challenge. This was a parallel competition for Challenge competitors on the autocross course. 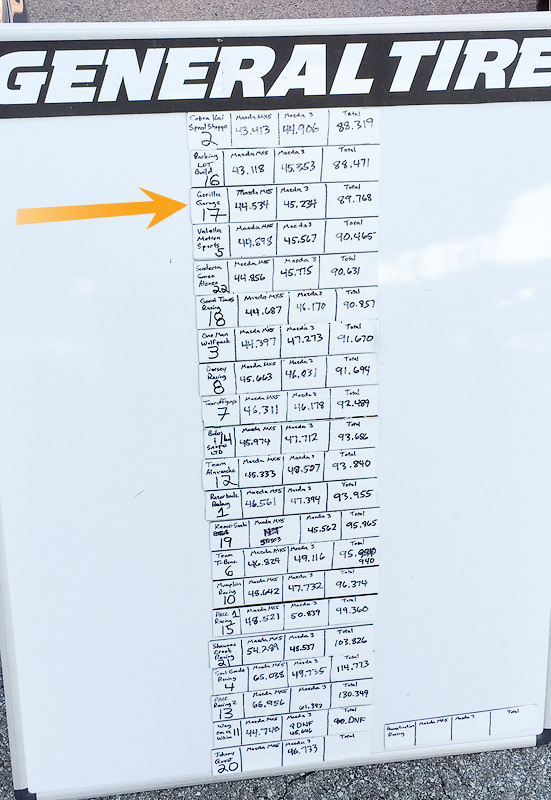 Each driver ran one lap in 2017 Mazda Miata and Mazda3, the combined the times for a final score. View of driver/owner Steve making a quarter mile run. Phone video from the autocross. Runs not in order- first run in video was low on fuel. Nice work fellas! Great results. Thanks for sharing the vids. Love the style and especially that keg, haha. The car also made a brief appearance in some local TV news coverage. Unfortunately before we had the race rubber on. Apparently we have magically turned that keg into an engine. 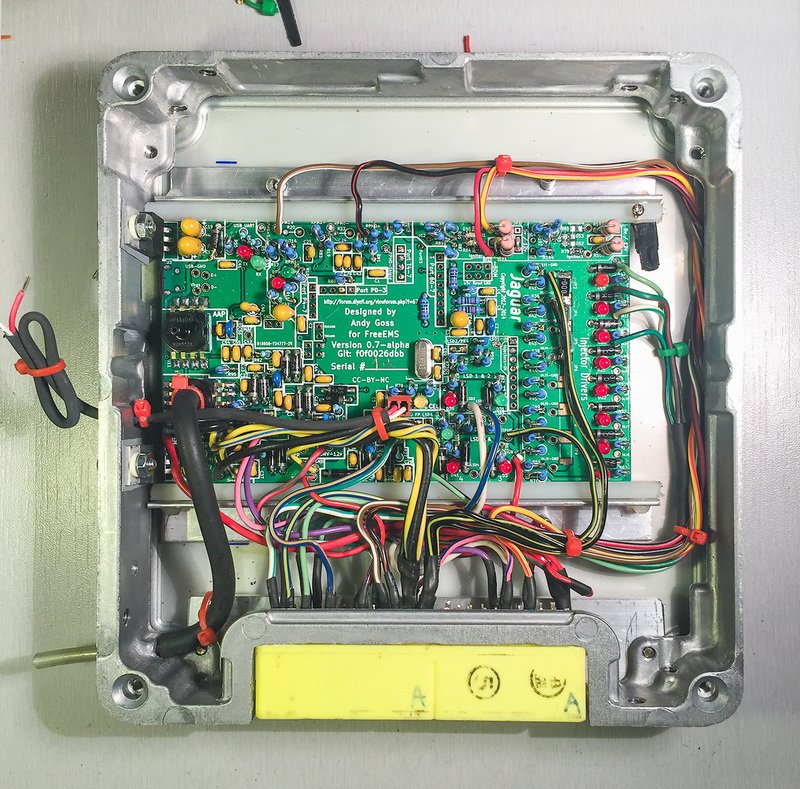 Amazing what some crafty firmware can do. Not sure if they'd let you run, but those space savers likely should have been your front-axle race rubber on the drag strip. I might be wrong, but even being steel I'd expect them to have lower inertia than the semi slicks, and certainly lower wind resistance. Using them up front crossed my mind, but so did the idea of them being rated at 60mph and the implications of them falling apart at speeds above that on this car. Agree that there are many advantages to them for drag racing. Next year we'll have a better set of drag rubber/wheels. 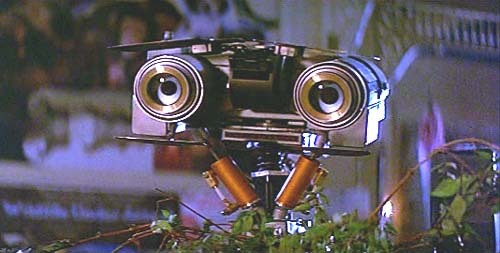 You're robot reference lacks the distinguishing wagon-esque features. Eyes don't make the beast. You can remedy those issues by sourcing some free used motorcycle tyres with an appropriate load raring, however they're not easy to find under seventeen inches.